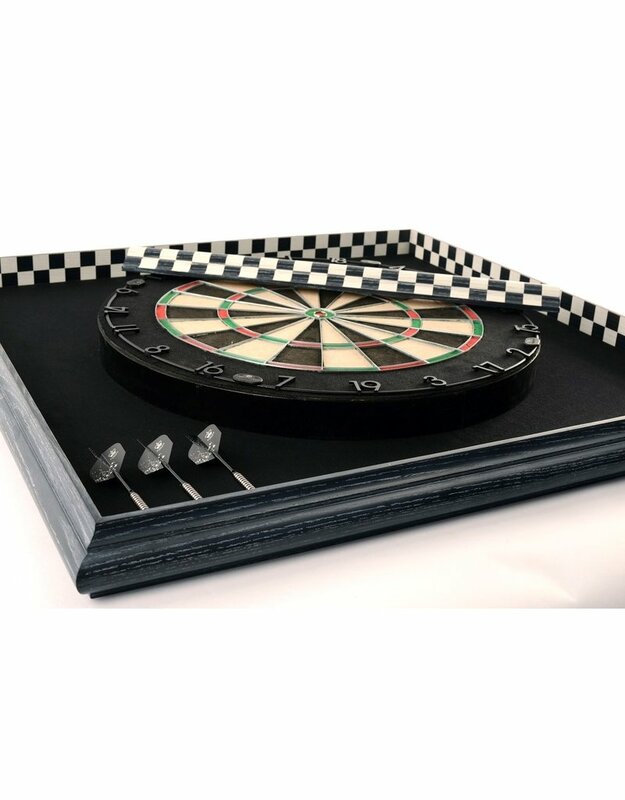 The Form + Beyond X Purling London Dartboard Frame is handmade in London from solid Ash by a master carpenter. 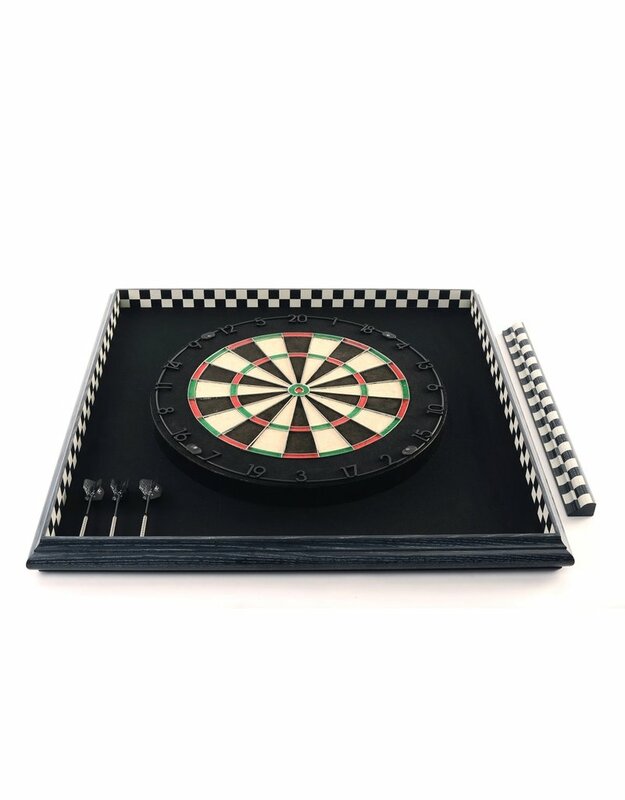 The frame features traditional Victorian mouldings with a contemporary hand-painted chequer pattern interior and deep grey stain finish exterior, accentuating the beautiful natural wood grain. 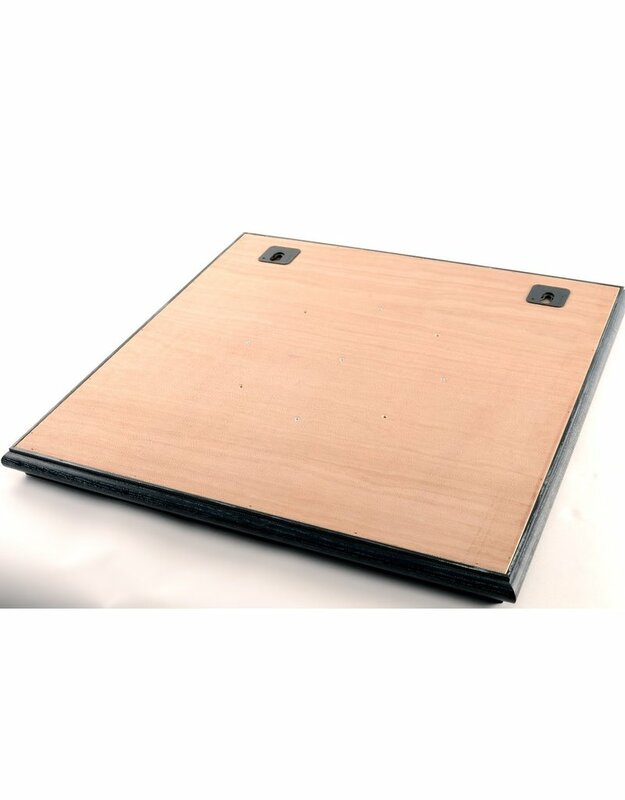 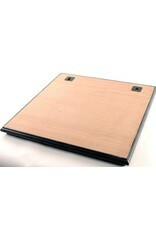 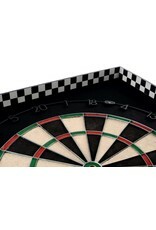 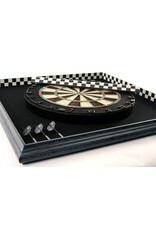 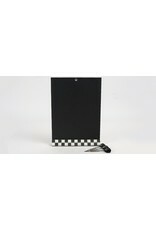 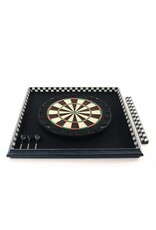 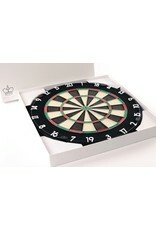 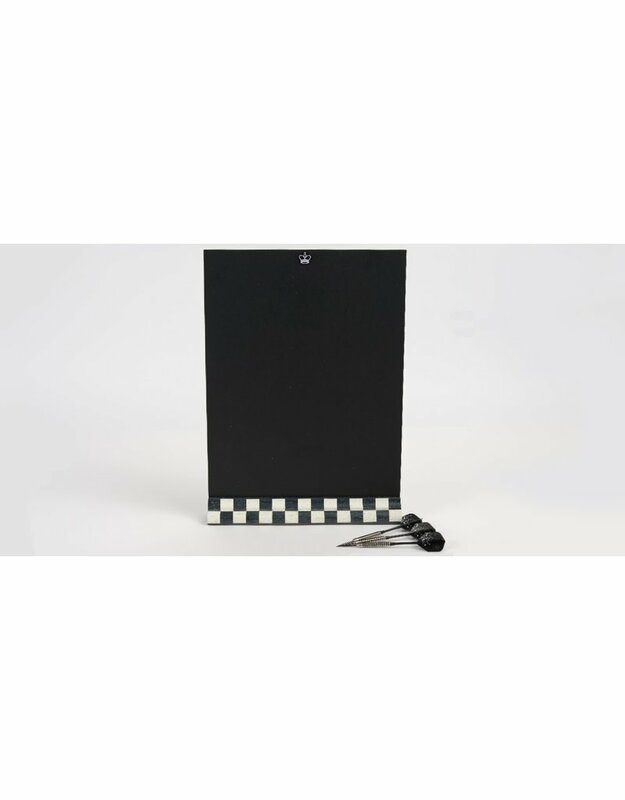 The tournament specification Dartboard is made from the finest sisal and mounted on a luxurious felt covered backboard. 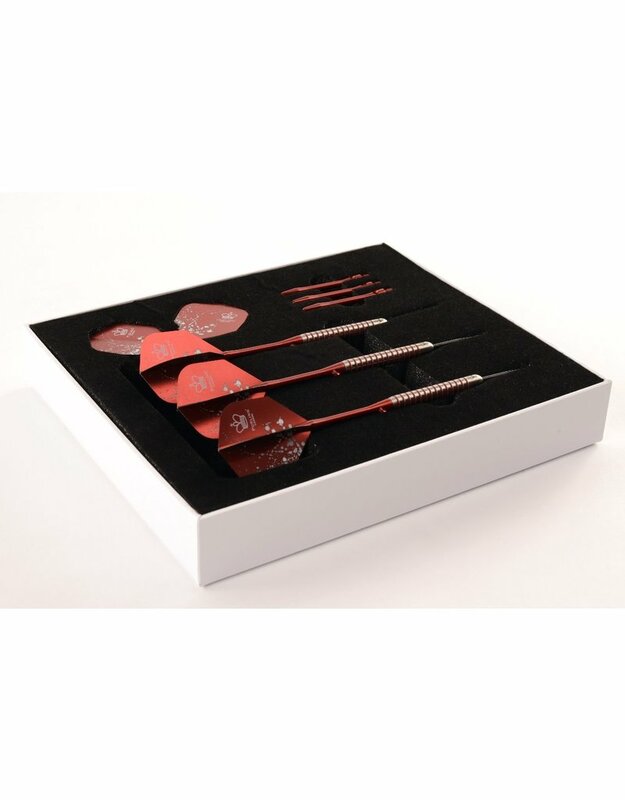 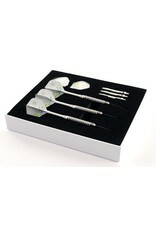 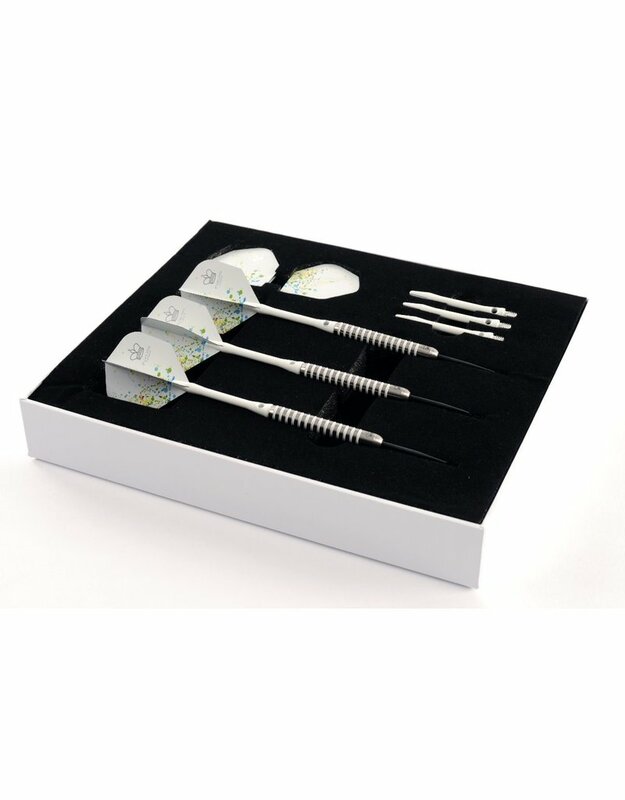 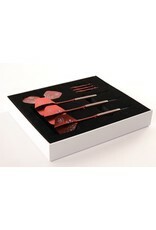 The frame has dedicated storage positions for the 2 sets of Purling tungsten ‘Bold Darts’ included. 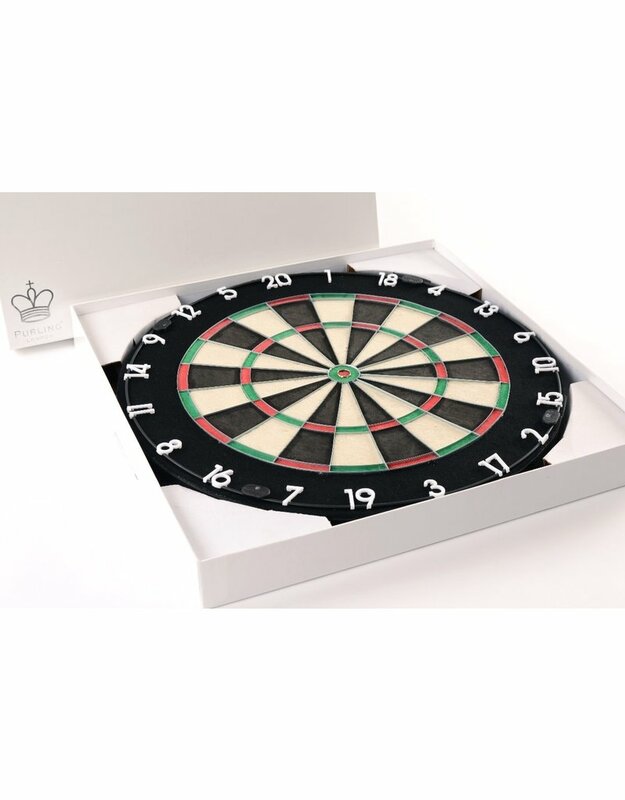 The Form + Beyond X Purling London Dartboard Frame is precise with panache.